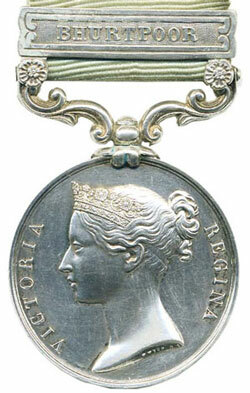 There were 237 lots of medals and militaria in this sale. 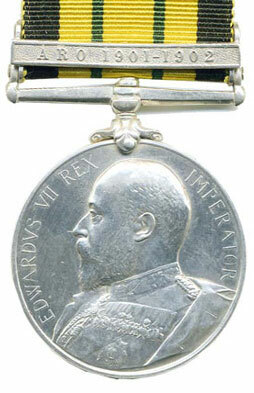 An 1803-26 Army of India Medal with Bhurtpore clasp to John Randall of the 59th Foot sold for £1357. The star item of the sale was Lot 62, a Boer War DSO/1914 died of wounds group with memorial plaque and scroll to Major William Northey Durham Light Infantry. There was considerable interest in the group including several phone bidders, one of whom finally secured the lot for £7080. A rare KEVII Africa GSM Aro 1901-1902 clasp to Deck Hand Williams of the Southern Nigeria Gunboat Jackdaw of which there were only 29 issued to the ship sold for £1032. 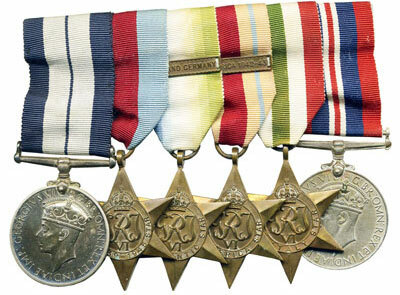 A WW2 U-Boat action DSM group to Edgar Arthur Skinner sold on behalf of the family beat estimate and sold for £1357. There were 8 lots of militaria and Lot 230 was a pair of swords with a QV 1822 Pattern Infantry Officer’s and a German trooper’s heavy sword which sold for £354.